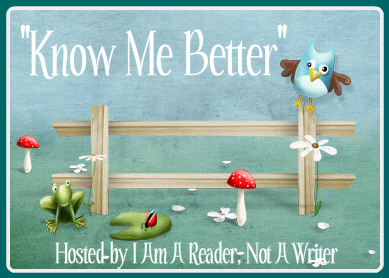 Know Me Better is a weekly meme hosted by Kathy from I Am A Reader Not A Writer to learn new things about your fellow-bloggers. Each week, she chooses 5 questions from her author interview list that the participants then answer. Diet coke or preferably coke zero. I drink at least 1.5 liters of the stuff every day. Also, coffee. Oh, and most of all reading and writing and any kind of art or creative outlet. It's humanity's redeeming quality, in my opinion. I suppose I should say something about love here, but to be honest I've never experienced that earth-shattering, I-would-risk/sacrifice-anything type of love. I'm not convinced it really exists (am I bitter/cynical? Maybe...). I love my friends and family, but that's not the same kind of love. Another supposedly trivial thing: the internet. Wouldn't want to go without that - it connects me to pretty much everything I care about. I wouldn't mind never having another phone call though. I hate phones. I rarely ever use my smartphone for actual phone calls. If I want to talk to someone, I either message them or just meet up in person. I was born in the country, in a village of around 700 people. I had few friends there; people's mindsets don't agree with me in that place, though I do love the landscape there. I wanted to move for years and finally managed two months before my 22nd birthday. I'm living in Zurich now, which is Switzerland's biggest city (ca. 400k people) and also where I study (I commuted for over 2 years). I love the city :) It's alive and vibrant and there are things to discover and cafés to go to! There was no café or movie theatre in my village. There's an abundance of both here. People are more tolerant and society is more diverse. There's a drive to the city, a feeling of moving somewhere, that I really like. Back in my village, I just felt stuck and like I couldn't develop as a person anymore. I felt in the wrong place and like I didn't belong 24/7. Honestly? I'm only slowly warming up to them. Most of them are just so badly made, or they just repeat the description I've already read without providing more info. 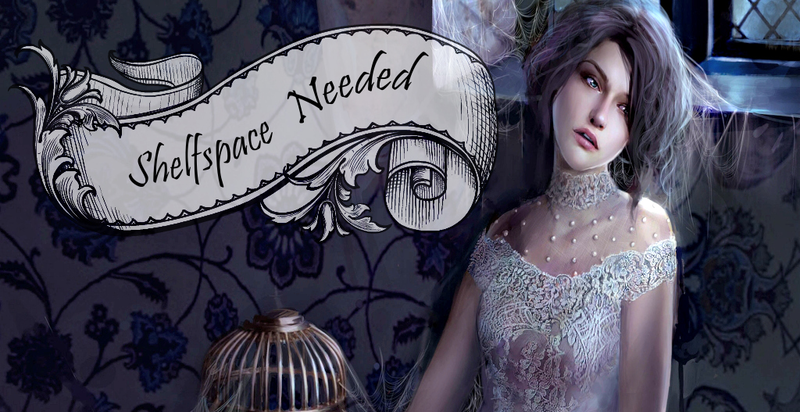 There are a few I find awesome though, like those for Gina Damico's books. 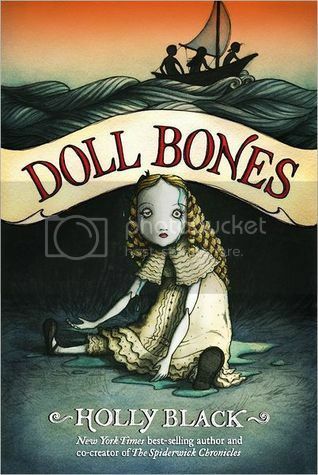 I also liked the one I posted for The Watcher on Monday, one I saw for Under The Never Sky (didn't previously feel like reading the book), or the one for Something Strange and Deadly. That's what comes to mind for the moment, there were probably a few more that I liked. I like the idea of giving a more cinematic aspect to books, but usually there just isn't enough funding to do it properly. And in that case I'd rather people didn't do it at all, unless they're really creative and can work within the monetary restraints and still make it look awesome. People don't believe me when I say I can't live without coffee. But if I don't have my coffee as soon as I wake up, I get a terrible headache and can't leave the bed for the rest of the day.